A rudimentary title screen has been designed, although I may do away with the brick background in favor of a more "classic" sprites-on-black look. To design: Objects, doors, enemies. To code: Too much to list here. If you're friends with me on social media, give me the occasional gentle nudge to keep working on this. Thanks. 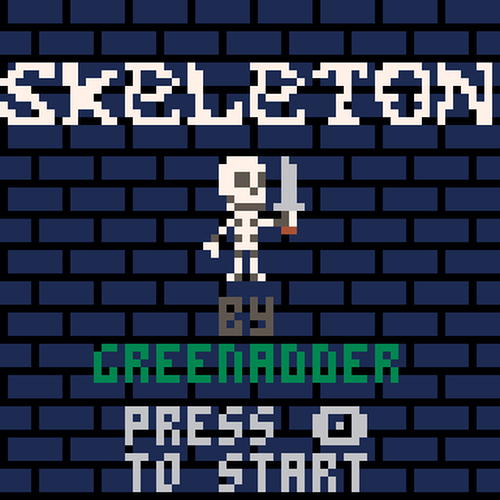 A reverse dungeon-crawl starring a friendly skeleton and a dungeon full of impolite interlopers.